Celebrate the life of the late renowned Biblical and archaeological scholar Frank Moore Cross with a comprehensive but readable overview of his broad-ranging scholarship. This collection of five interviews with Cross by Biblical Archaeology Review editor Hershel Shanks brings Cross’s insightful and path-breaking scholarly contributions to a wide, general audience, from his ideas about the origins of Israelite religion to his prominent role in the discovery and study of the Dead Sea Scrolls. Also included are thought-provoking discussions of the origins of the alphabet and the significance of ancient Hebrew seals and inscriptions for understanding the Biblical past. 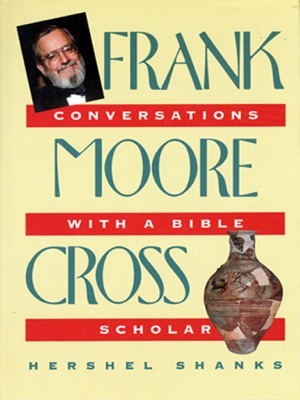 Furthermore, this new electronic edition of Frank Moore Cross: Conversations with a Bible Scholar allows readers to take full advantage of all of the portability and functionality of their eReader devices, including convenient in-text links that jump directly to specific chapters and notes.